In this current economic climate, companies are leaving no stone unturned in their quest to reduce cost. 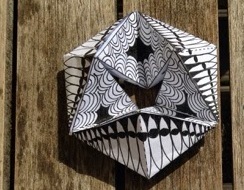 But is the solution to saving millions contained within the folds of a paper toy designed for children? Brisbane (Australia) based company, Acquire Procurement Services thinks so. 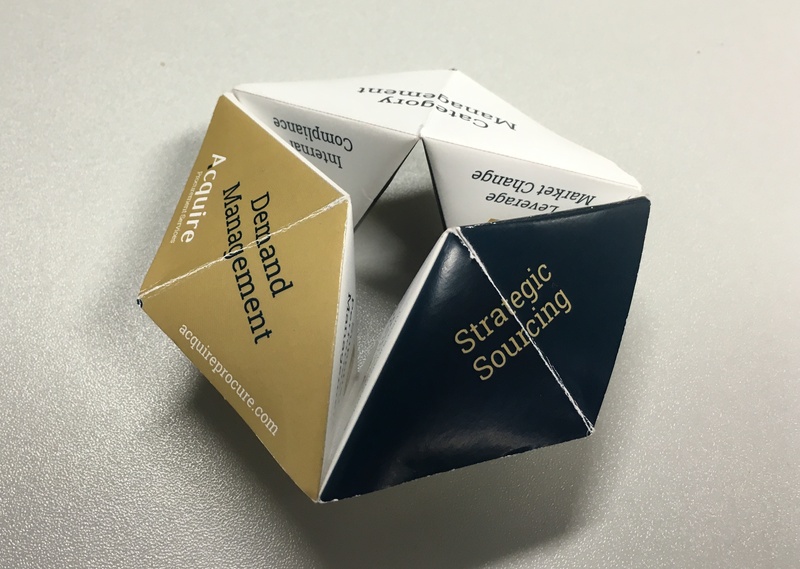 The firm has been using a version of paper toy to educate their clients as well as their own staff about all the different ways companies can save money through their procurement activities. Below is a Q&A session with Acquire’s Director of Asia Pacific, Simon Thompson. 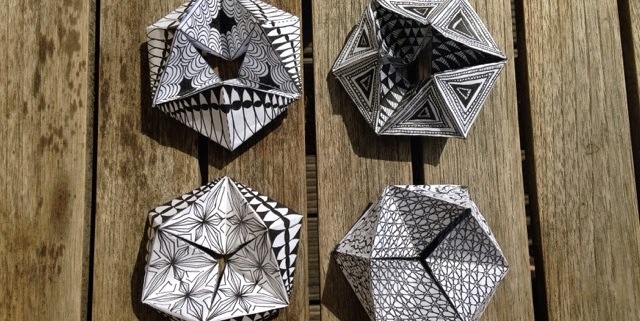 If you have never heard of a flextangle (also know as a kaleidocycle by those in the maths world), it is a mesmerising paper toy based on flexagons and kaleidoscopes. Up until now, it has been a cool project to do with children or a couple of artists. How does it save companies million of dollars? When companies try to save money though procurement activities, they commonly fall back on a few “levers” such as giving more work to a supplier in return for volume discounts or creating competition between suppliers. But there are many other levers that can generate more value as well as reduce costs. In our experience, we have found that even procurement specialists sometimes forget about some levers. Sometimes they are unfamiliar with them, sometimes it is because they are too busy adhering to company corporate governance processes, and sometimes the day to day operational procurement requirements take up valuable head space to think. Has it been successful when applied to real situations? Definitely! For example, many of our clients have successfully reduced costs (sometimes more than 50%) by applying less commonly used levers such as adjusting the specification of what is being purchased or working closely with the supplier. Our favourite examples are when the business has changed but the procurement practices have not – we call these “legacy issues”. They often reveal themselves when the specifications of what is being purchased is challenged. Through our procurement consulting work we use these levers and have generated significant results for our clients. There are 18 key procurement levers used and they just happen to fit nicely on the segments of the flextangle. The procurement levers are broken up into three areas being “Strategic Sourcing”, “Category Management”, and “Demand Management”. As the toy is rotated, the different levers for each area display themselves. The levers are coloured so that the user can understand which of the three areas they relate to. Read up on our summary of the individual levers here. Why do companies love it? In our experience, we have found that many people think better with something in the hands. This toy sits on a person’s desks and is a constant reminder of all the procurement levers. There is also something about the infinite rotations which makes it mesmerising to play with. How can we find out more about each of the levers?